Sirvapealot insists on the following terms and conditions. 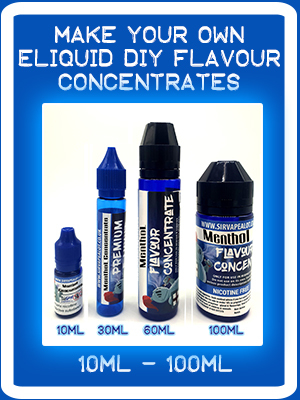 E lqiuid contains Propylene glycol or Vegetable glycol, Nicotine and flavorings. Propylene and vegetable glycol are considered food safe substance and are used in many products, Ashma Inhalers. makeup, shampoo, deodorant, detangler, styling mousse, cleansing cream, mascara , soap, skin cream , bubble bath, baby powder, conditioner, toner, after shave, baby wipes and many others, Nicotine is a addictive toxin and use of it is completely up to the user and at their own risk, DO NOT ingest the liquid directly, wash it off immediately if it gets on your skin and keep out of reach of children in the childproof bottles supplied. 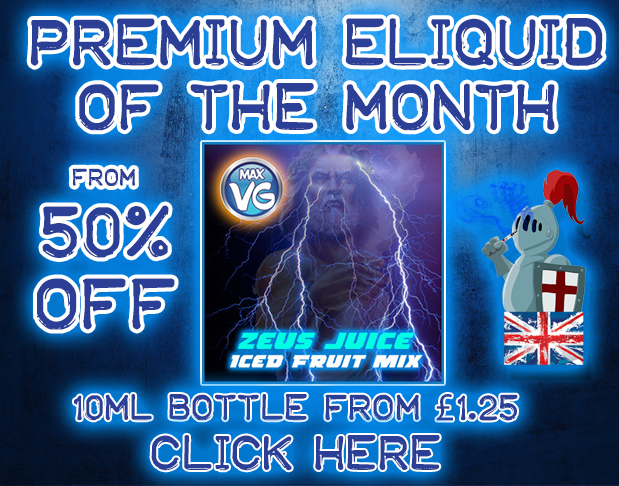 Sir Vapealot is in no way responsible for any misuse or accidents caused while using its products. Please read these conditions carefully before purchasing products from us. 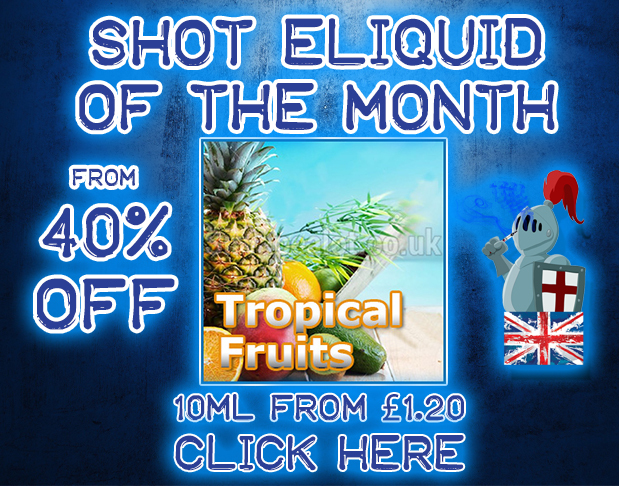 After an order has been placed you will be sent an e-mail by sirvapealot.co.uk on our behalf confirming receipt of your order and setting out the details of your order. 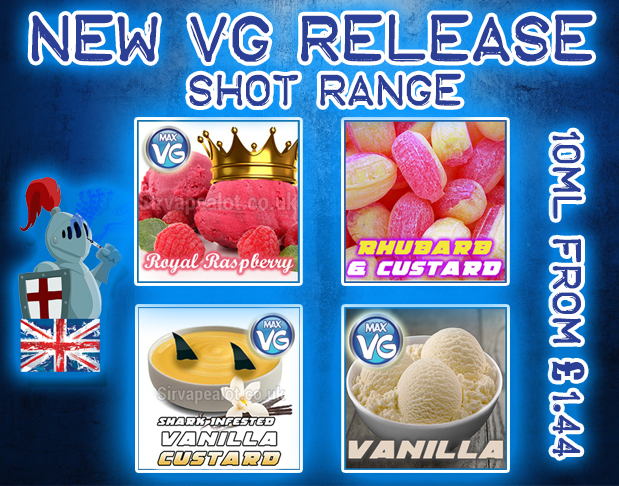 Sir Vapealot will only deliver to the United Kingdom and will en-devour to deliver your goods as soon as possible SirVapealot.co.uk is in no way responsible for any delay in the postal services or lost packages unless registered post has been used, we keep evidence of all post which can be made available if requested. Our last postal time for same day dispatch is 14:45 Monday to Friday all post after this time will be posted on the next working day this includes special delivery. Special Delivery is only guaranteed for Monday to Friday deliveries it does not cover weekends. 3. Returns and cancellation Policy. You will have 14 days from the date of receipt to cancel your order. You can return the order to us unopened and in its original condition to receive account credit or a full refund (customer to pay shipping costs). You will then be sent out instructions on how and where to return your item. Once the goods are received Sir vapealot will test and inform you of the findings. If the goods are found to be faulty then we will immediately ship out replacement items or apply store credit to the account holder or issue a refund. These items come with a one month (30 Day ) guarantee and have a life expectancy of 3-6 months. This does not affect your statutory rights. The guarantee covers any manufacturer defects and covers any repairs, or replacements, if deemed to be faulty or beyond repair. If the product has been damaged in any way by the customer we reserve the right to refuse a refund or return. Our warranty does not extend to these items due to the nature of the products. For health and safety reasons, as well as hygiene, we cannot offer warranty on either. This is unless our staff determine that the item received is the incorrect item or if there are any other extenuating circumstances. Dead on arrival. The customer must contact us within 24 hours after receiving the item in order for the warranty to be applicable. Contacting us after this allotted period will mean that we cannot offer a refund or return. Please note that this also applies to multipacks. We list availability information for products sold by we cannot be more specific about availability. Please note that dispatches are not guaranteed dispatch times and should not be relied upon as such. We reserve the right to change pricing and availability at our sole discretion. All ownership, title and risk of loss and/or damage in the product you have purchased shall pass to you at the point and time at which such product leaves our premises in the UK. 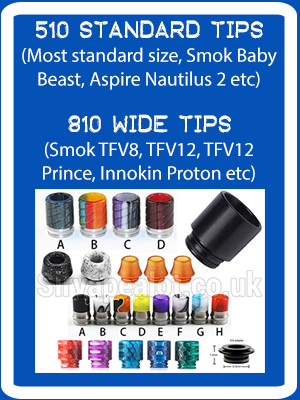 Sirvapealot.co.uk does not sell products for purchase by persons under 18 or people who are pregnant. We reserve the right to make changes to our policies, and these terms and conditions at any time. Your relationship with us is governed by and construed in accordance with the laws of the England. The Courts of England shall have exclusive jurisdiction over any disputes arising out of these Terms.